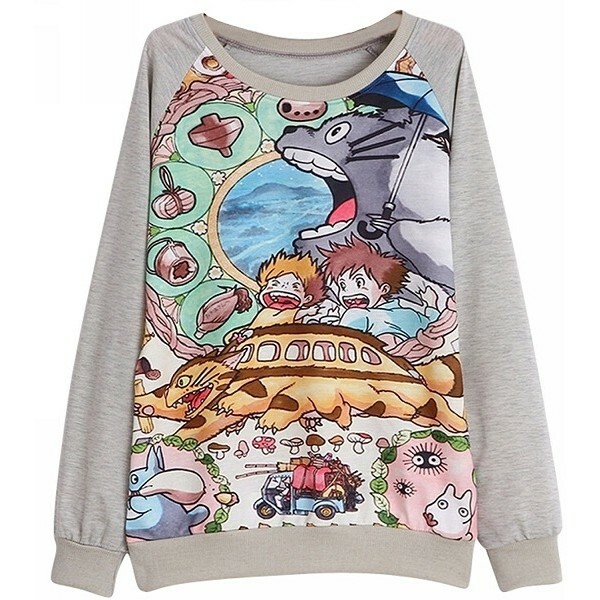 Fans of the friendly forest spirit Totoro will love this cozy seatshirt from Uget! All of your favorite characters are here, from Totoro and the Catbus to sisters Satsuki and Mei to the little soot sprites. This 95% polyester, 5% Spandex shirt is light enough to easily layer and has a vibrant colored graphic. Available in juniors sizes small (US size 3) to extra-large (US size 15). 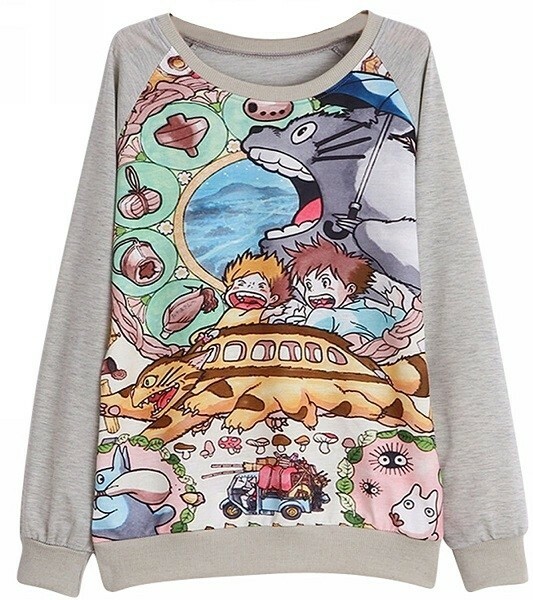 For more products featuring Totoro and other characters from Studio Ghibli, visit our Studio Ghibli Collection.